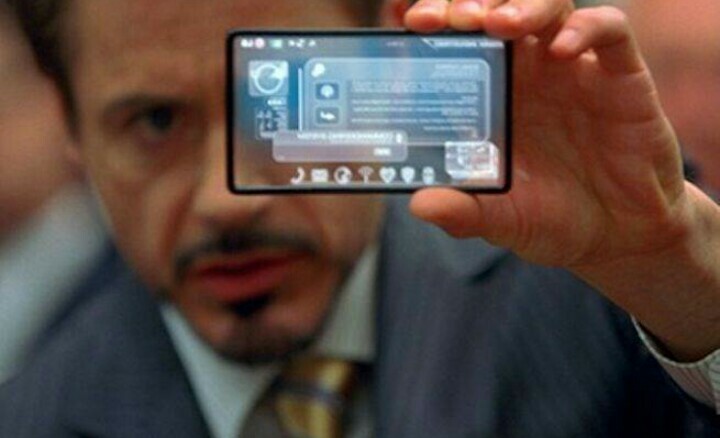 Apart from Iron Man’s transparent smartphone looking exceptionally cool, it really doesn’t make much sense to have one. “Transparent screens by their very nature make what’s happening on the front of the screen happen on the back of the screen,” Jennifer Davis, vice president of marketing and product strategy at Planar Systems, explained in an interview with Inverse. Besides, today’s technology still hasn’t advanced to the point where it can recreate these see-through smartphones. But that’s not to say we can’t have some form of cool tech inspired by Tony Stark’s gadget arsenal. For larger screens, like televisions, not only is the technology more appropriate, it’s also more feasible—and is actually commercially available. 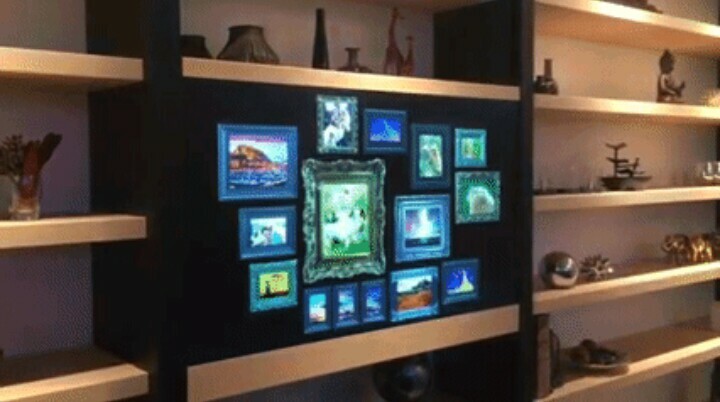 In fact, Panasonic already showcased a demo screen at this year’s Consumer Electronics Show, which featured a widescreen TV that could go partially transparent to display the shelves behind it. But Planar Systems is taking this concept a step further—by adding touch screen functionality. The screens will be given a sense of functionality, which opens up a wealth of new possibilities. “If your experience with the display is going to be transparent, and I mean that in every sense of the word, and it’s going to be visible and [have] an element of publicness to it, why not make it a social experience?” Davis says. As a television screen, the many applications for the technology would be pretty extraordinary. Imagine having a living room window that could transform into your TV? But beyond interiors, Planar Systems has some very interesting ideas about how their technology can be used. For instance, museums could use the screen as interactive, augmented reality displays that allows guests to enjoy the experience minus clunky headgear. Visitors could view a particular artifact through the glass, with graphics and visuals overlaid to provide more information. It can basically transform the traditional augmented reality (AR) experience—which is largely a personal activity because of the required headsets—into a more social setting. In retail, it can be applied as a storefront window that incorporates the actual products and the digital visuals. Or imagine the technology’s use in hospitals, where such display screens could be used in tandem with a digital assitant that provides instructions, directions, and assitance for filling out digital forms through mobile interaction with patients for added privacy. What Planar Systems wants to do is go beyond the obvious display applications and integrate these screens into the very architecture of structures—so that they become as natural a building material as concrete, rebar and I-beams. “We’d like to see video walls and displays and transparent displays be integrated into the design—in fact, integral to the design,” Davis added. For now, the screens are currently commercially available for $18,500 (for the smallest, 55-inch 1080 full HD display). That’s a hefty price tag, but hopefully, as businesses and wealthy private owners shell out the money for these early models, the prices will come down and someday we’ll consider transparent, invisible TV screens just a normal part of 21st Century life.